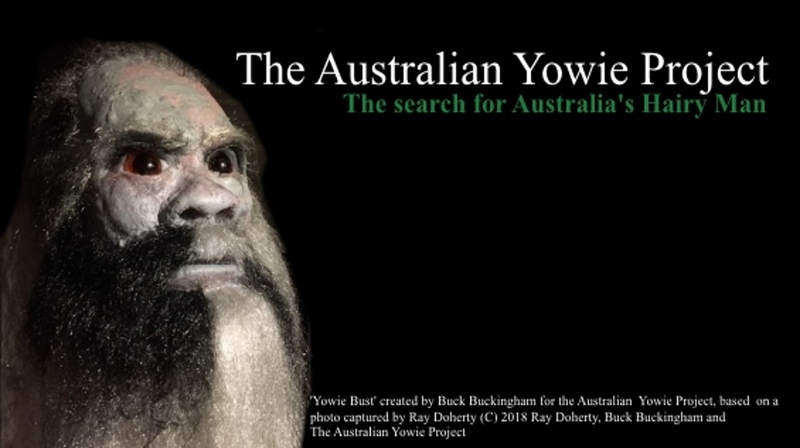 Is this the face of the pro-ported Australian Yowie? 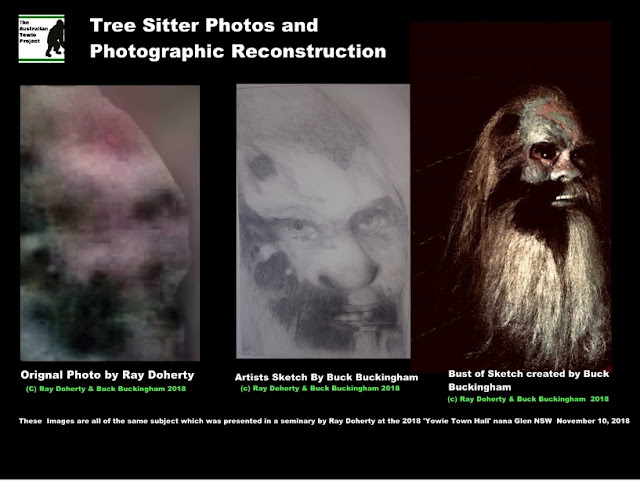 This image (on left) was captured by Ray Doherty of the Australian Yowie Project. Brisbane artist, Buck Buckingham then reconstructed the image based on his observations in a sketch, and from the sketch into a life like bust. 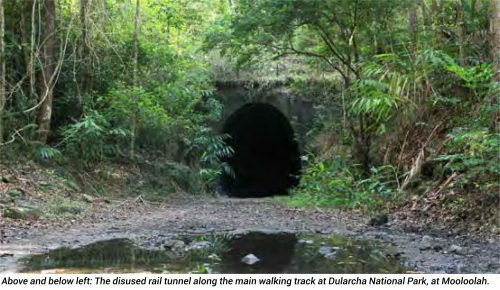 Read the full article in here in the seminar I delivered on Nov 10 at Nana Glen, NSW Yowie Town Hall.